Whats not to love about a stripe T Rex rattle? This gorgeous small knitted dinosaur rattle is suitable from birth and machine washable making it a perfect gift for a new baby. Part of our dinosaur soft toy range, the stripe T Rex is also available as a dinosaur toy. An ideal gift for baby’s first Xmas. Dimensions are given as a guide only and can vary. 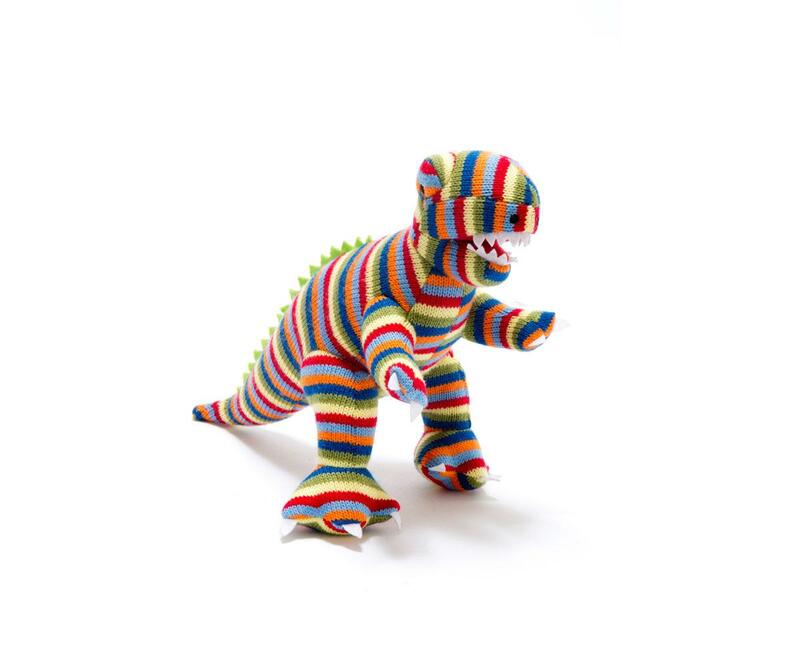 100% acrylic knitted dinosaur. Ethically sourced. We have a range of co-ordinating dinosaur cards available.